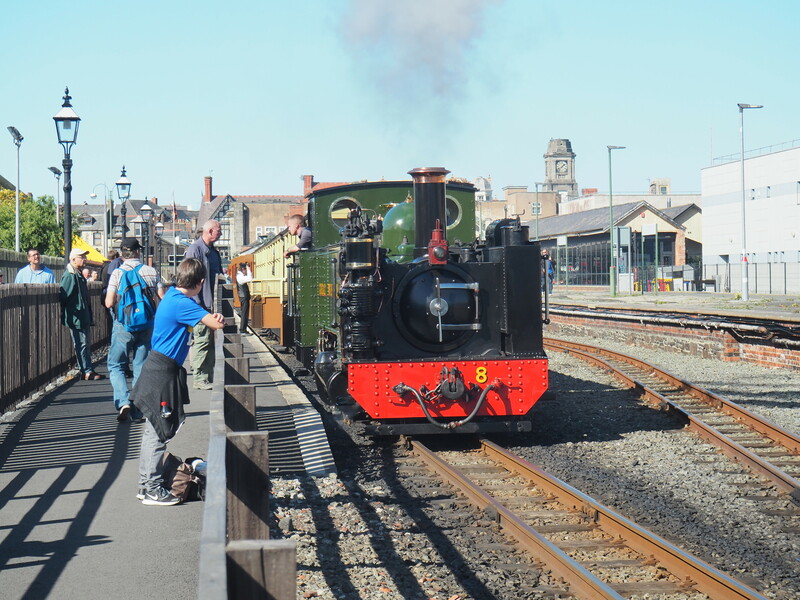 Sometimes you need a few days away! 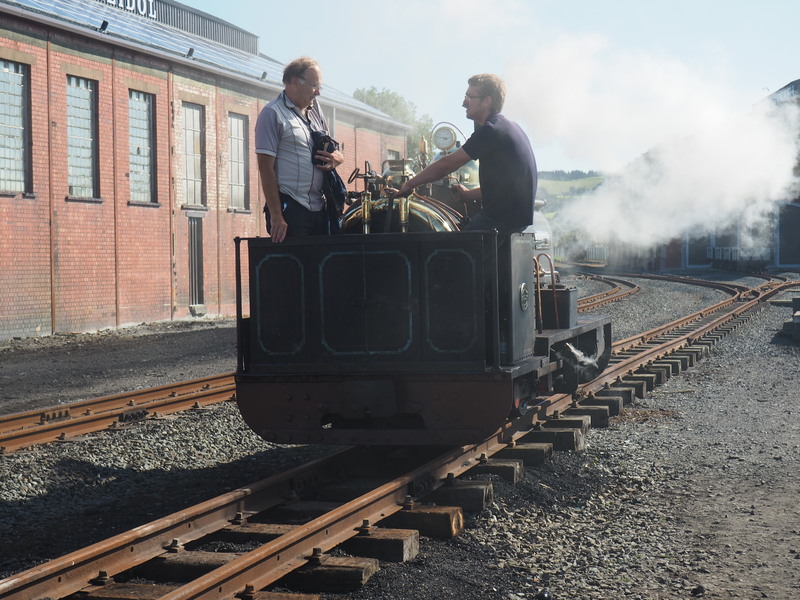 My Dad and I thus set a weekend to do some ‘steam stuff’ and this combined a trip to Wales with one to Yorkshire. 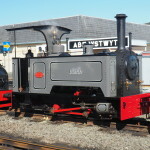 The trip to Wales was to attend the Vale of Rheidol Railway’s ‘Festival of Steam – The Forgotten Engines’ which marks a very new direction for this railway in holding an enthusiast gala, running a variety of visiting (and home) locomotives on interesting diagrams and, as it seemed to be very successful, will hopefully be just the start of many such galas to come… It also featured the debut of two locomotives (which we look at below) that have always been on the narrow gauge enthusiast’s ‘must see in steam’ bucket list. 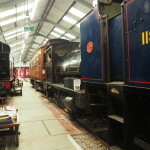 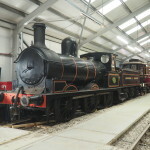 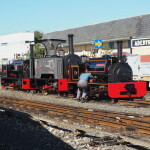 These were bolstered by a number of others that have been repatriated or whose previously hidden existences have now become better known in recent years, including Winifred, Ogwen and Marchlyn – all of which had been exported in the mid 1960s and have now returned and been restored or will be soon in Ogwen’s case. 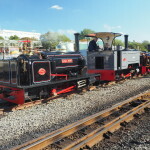 Sybil Mary, long lost in public sight is now part of the Statfold collection, restored to steam in 2013 and now attending events around the UK. 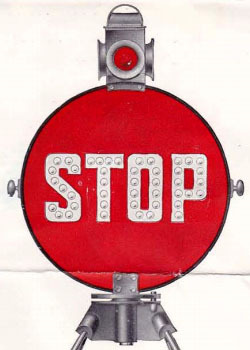 Below: The one so many were waiting to see! 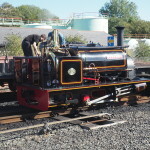 Partly thanks to her difference to the more common Quarry Hunslet and also due to the very comprehensive facebook page Diana’s owner Phil Mason maintained, the debut of this 1917 supplied (it was built much earlier but not sold) Kerr Stuart ‘Sirdar’ class locomotive No.1158 was much anticipated and much enjoyed by those who were present. 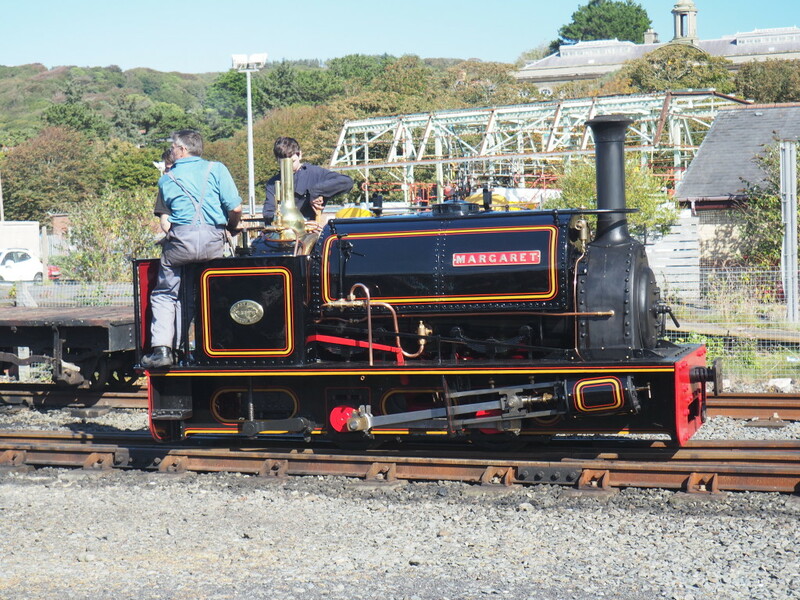 The locomotive is seen after a double-headed run with Margaret (see below), its first ever passenger run and only its second day in service. 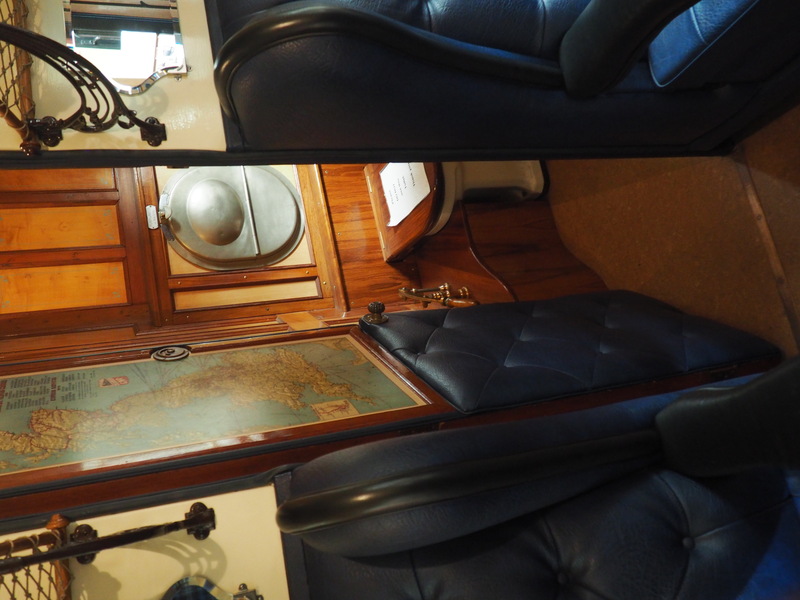 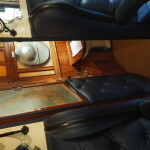 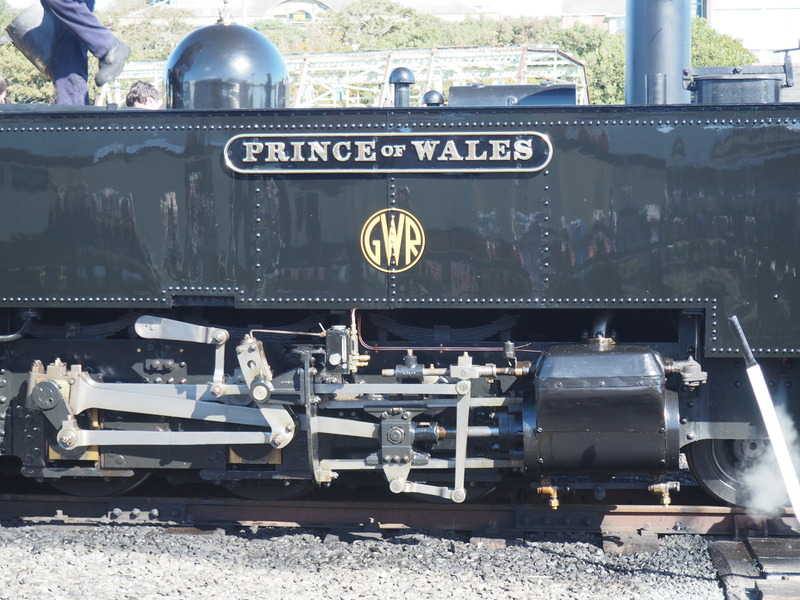 The loco has had a wandering existence in preservation but restoration was completed a few weeks ago at Aberystwyth, the result being stunning! 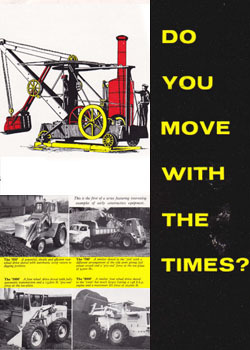 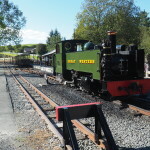 1158 was supplied to work on the Kerry Tramway – which had reopened a former system in order to extract timber in Mid Wales for the (First) World War effort. 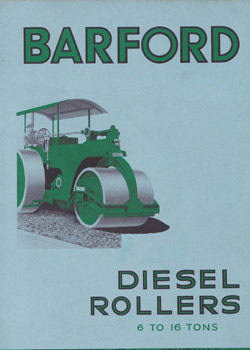 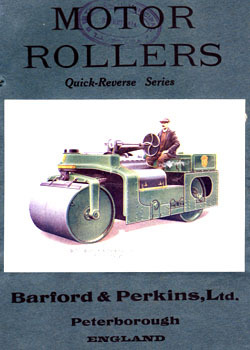 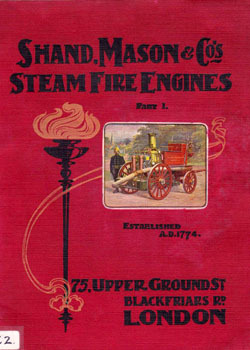 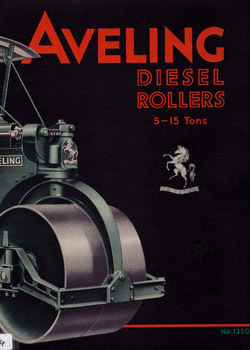 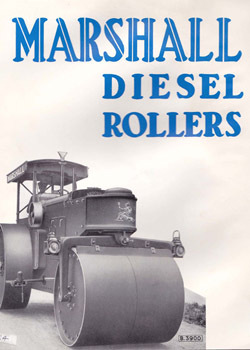 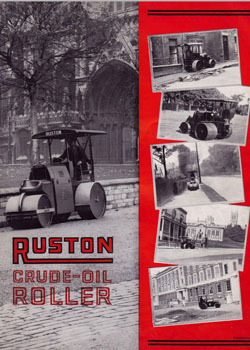 After this it worked in the Welsh slate industry until condemned in 1950. 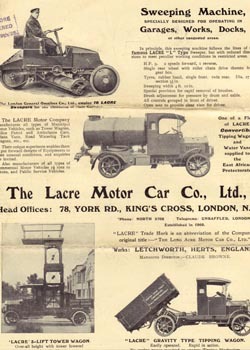 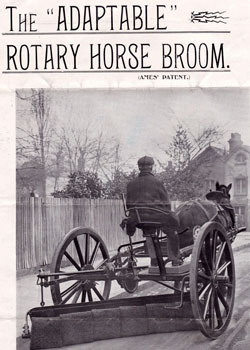 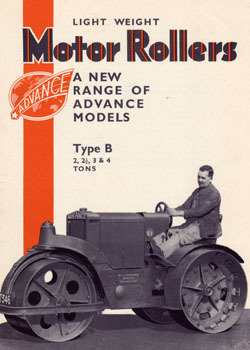 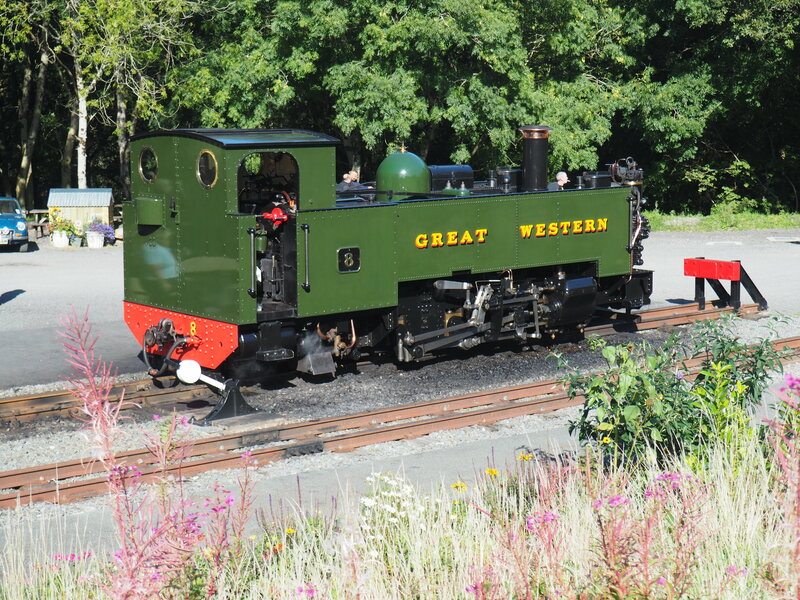 With our Great War Steam Fair planned for April 2016, and centred on the home front and industries (including forestry), needless to say an expression of interest in this stunning restoration has been made! 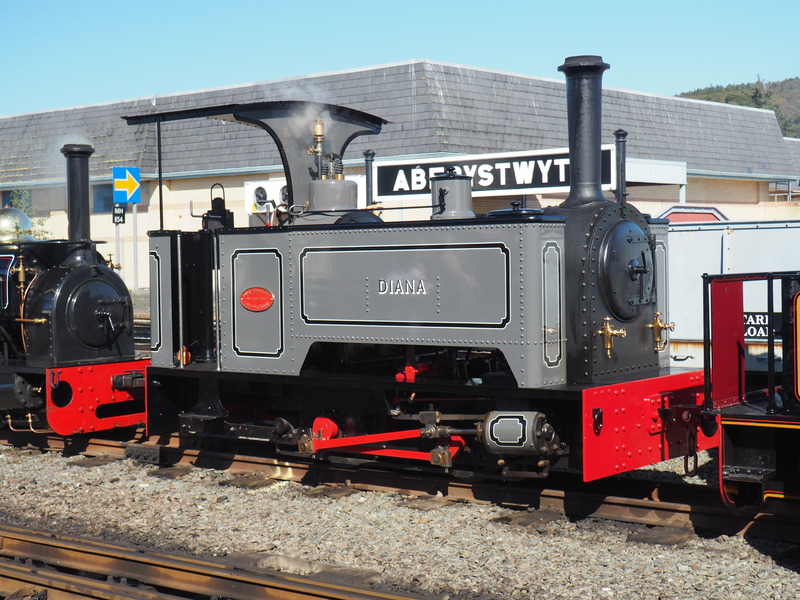 In due course Diana will move to the Bala Lake Railway where she will make a new home amongst the Hunslets there. 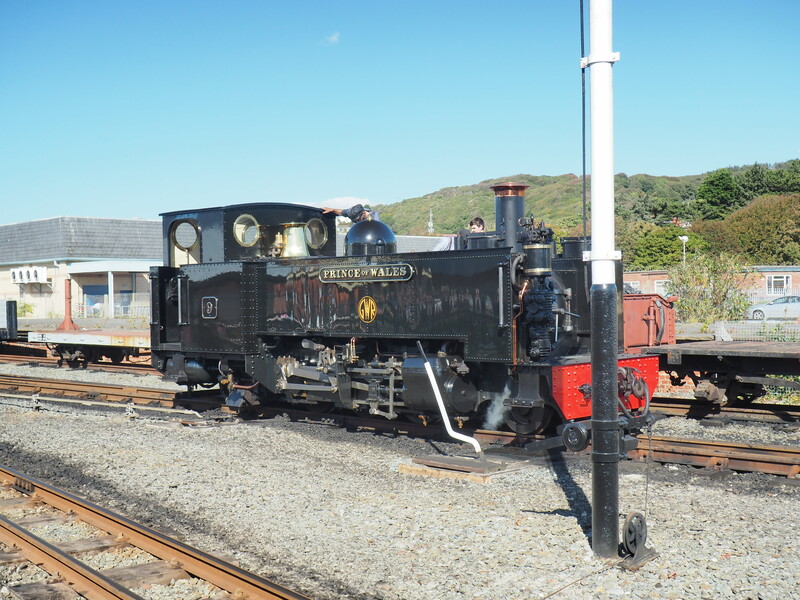 Below: This is Margaret after returning from her first ever passenger train and first run since 1950. 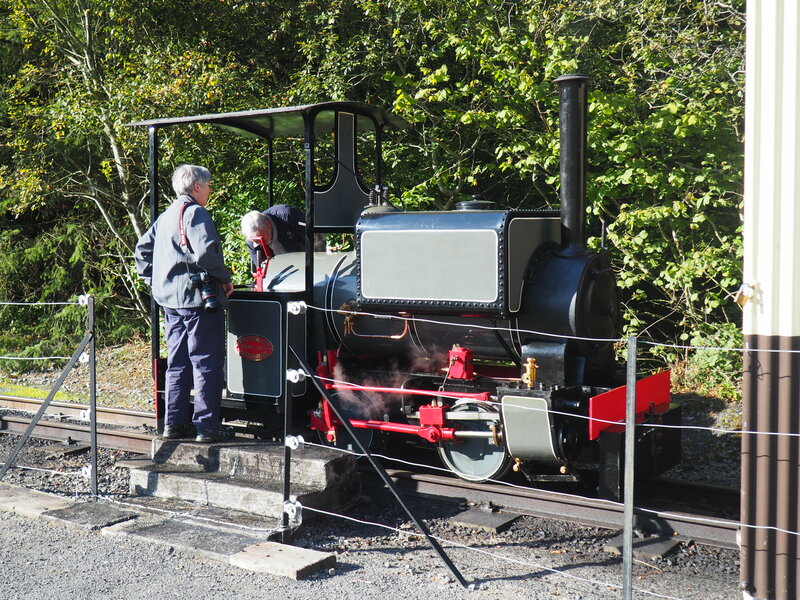 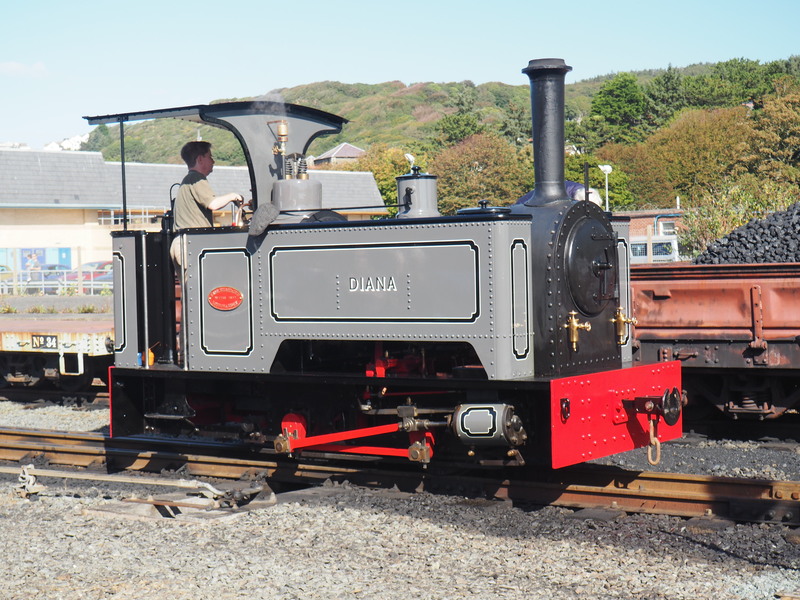 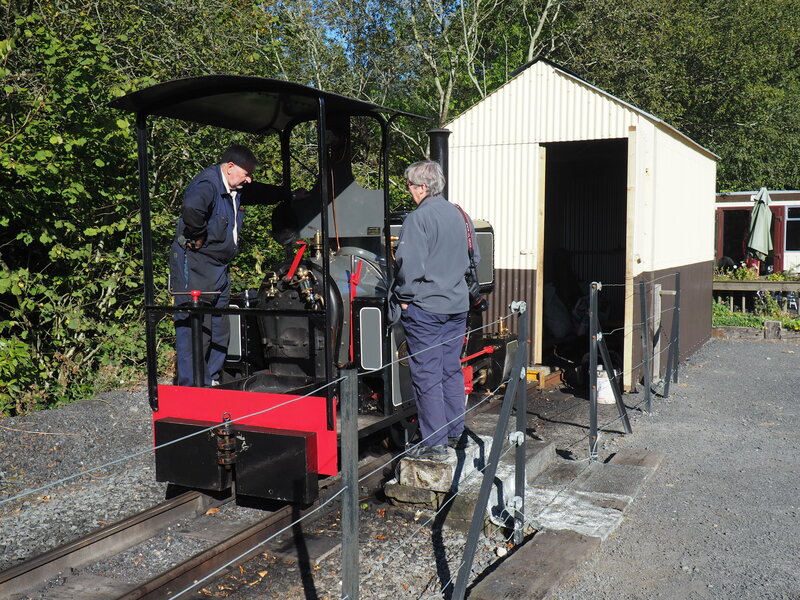 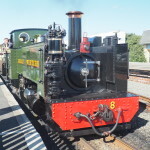 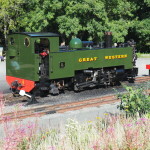 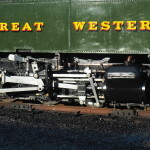 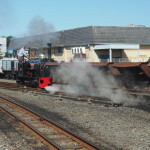 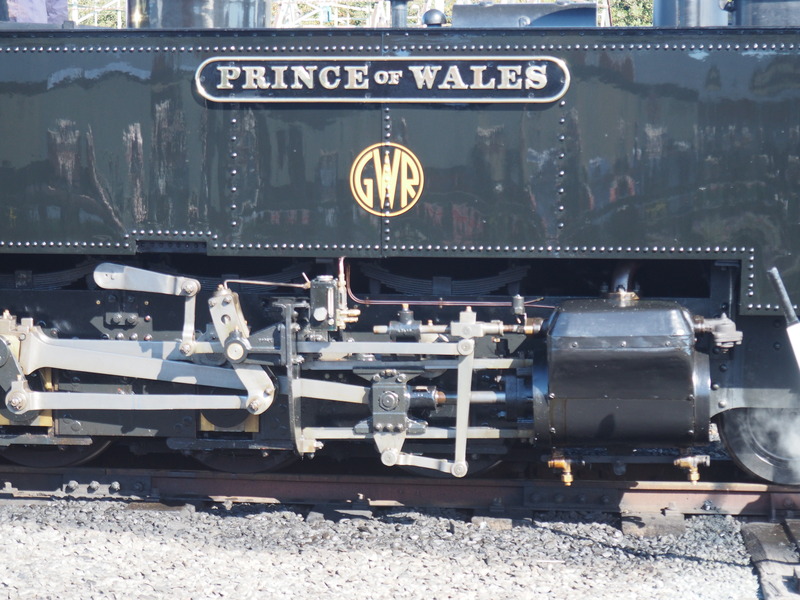 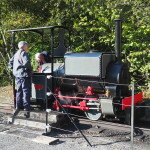 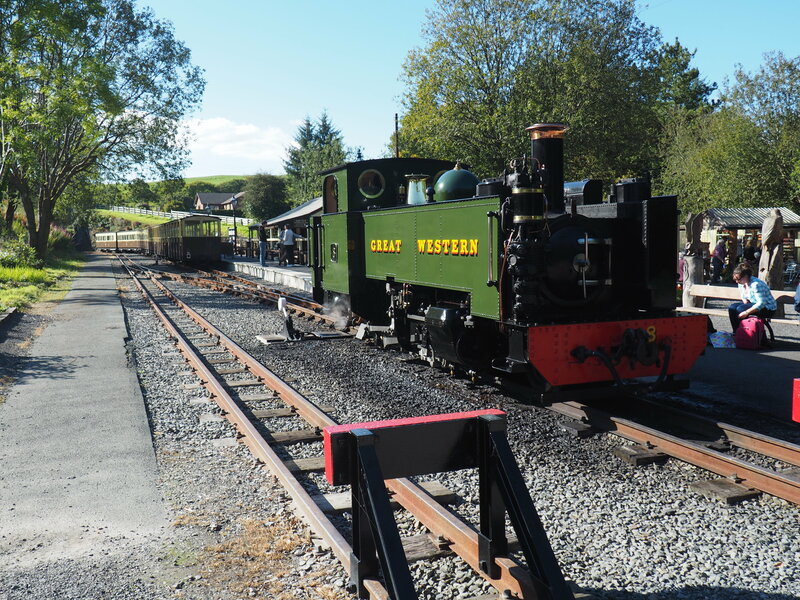 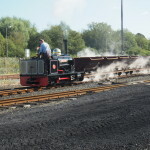 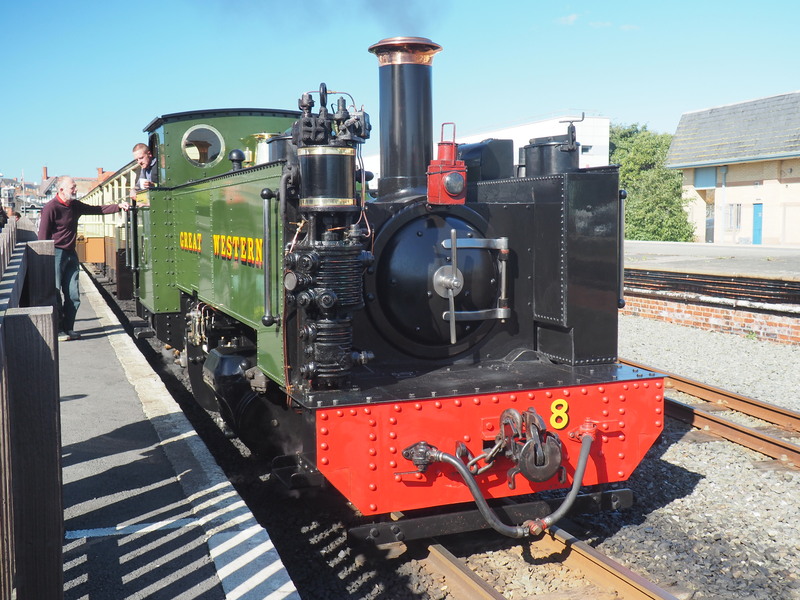 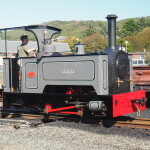 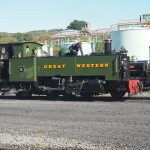 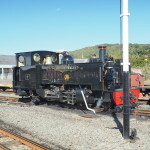 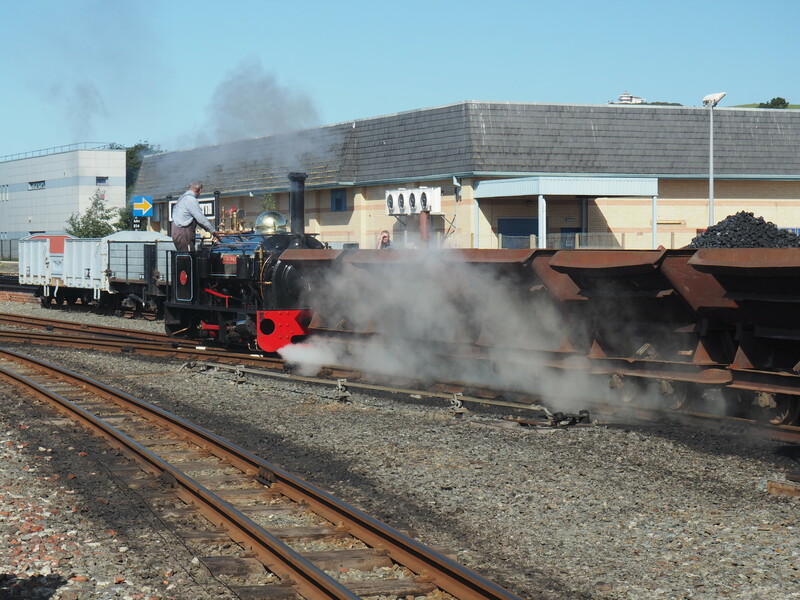 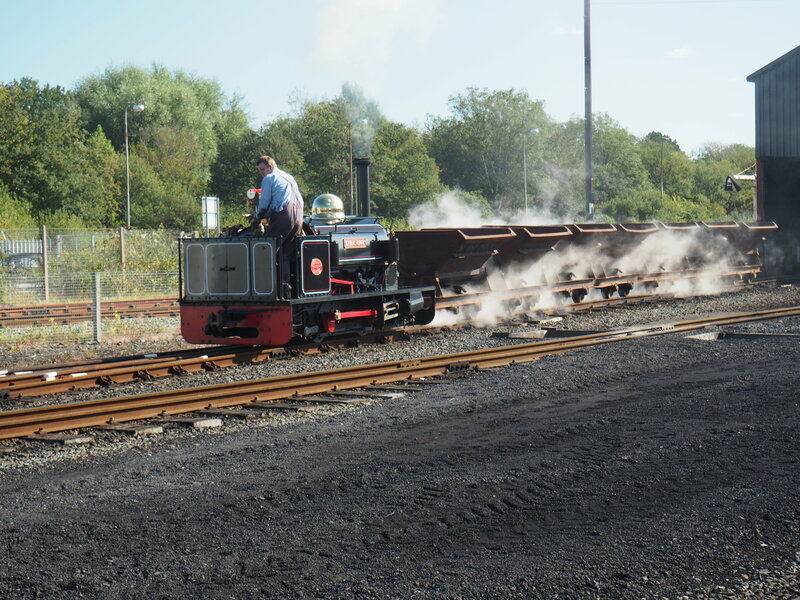 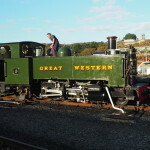 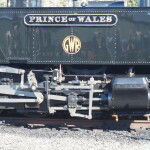 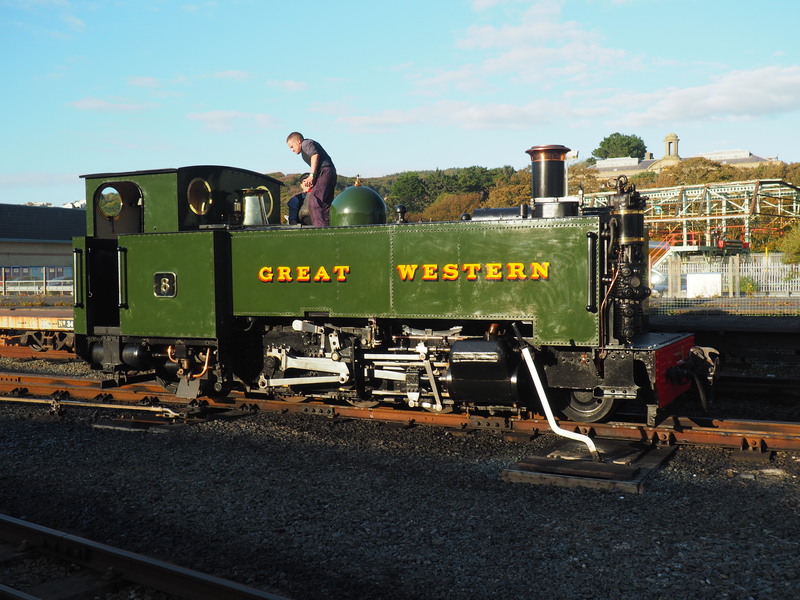 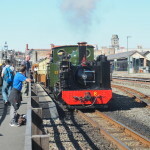 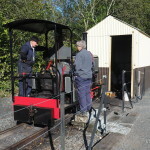 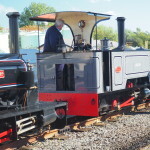 Built in 1894 and supplied to the Penrhyn Quarry Railway, the locomotive has been extensively reconstructed having once been considered a ‘no-hoper’. 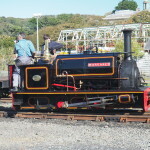 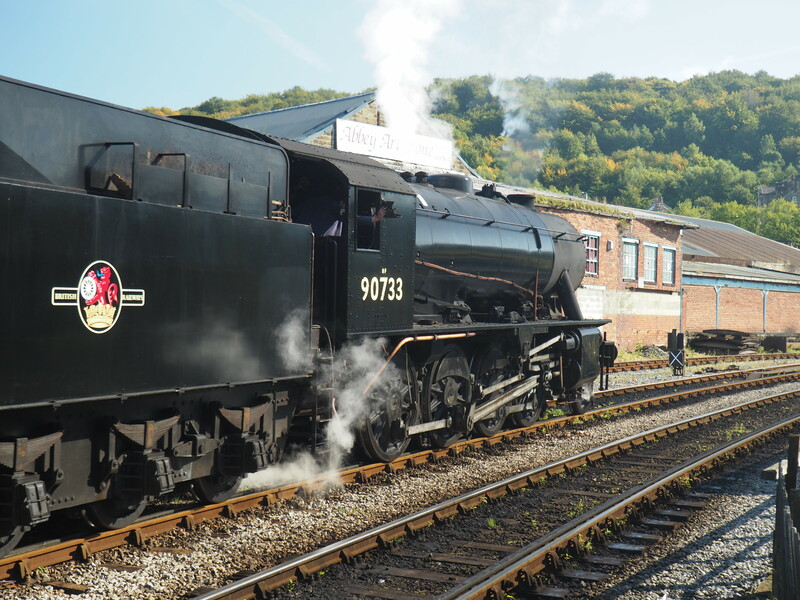 Now restored to steam, the locomotive carries the earlier Penrhyn livery per Hugh Napier on the FR. 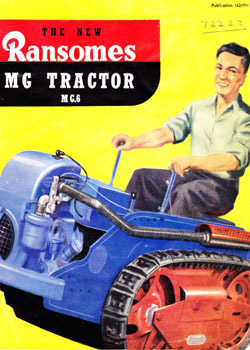 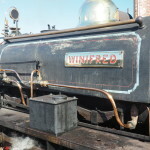 Another one for the list of engines we’d love to see run at Beamish! 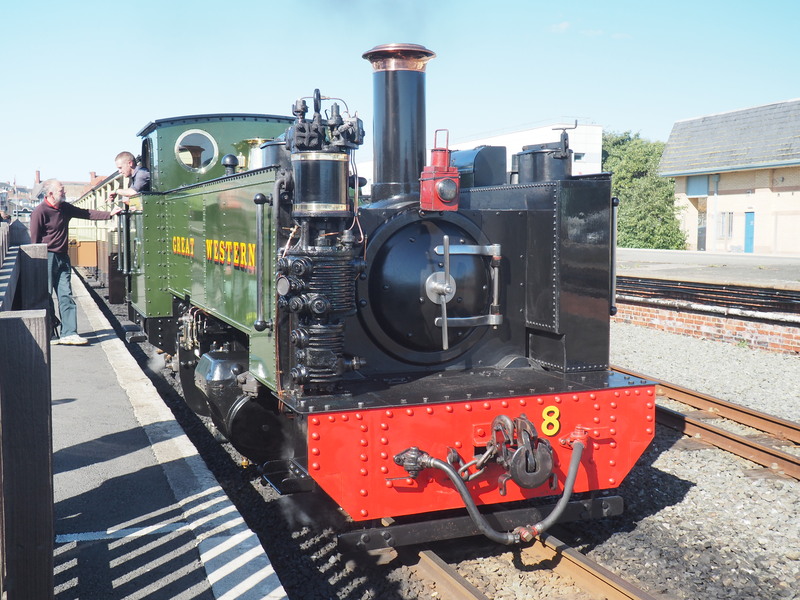 Below: No.8 is Llewellyn – seen ready to depart with an immaculate train of GW liveried coaches for Devils Bridge the cleanliness and quality of the railway is of note – there seems to be no dirt anywhere! 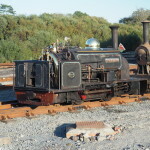 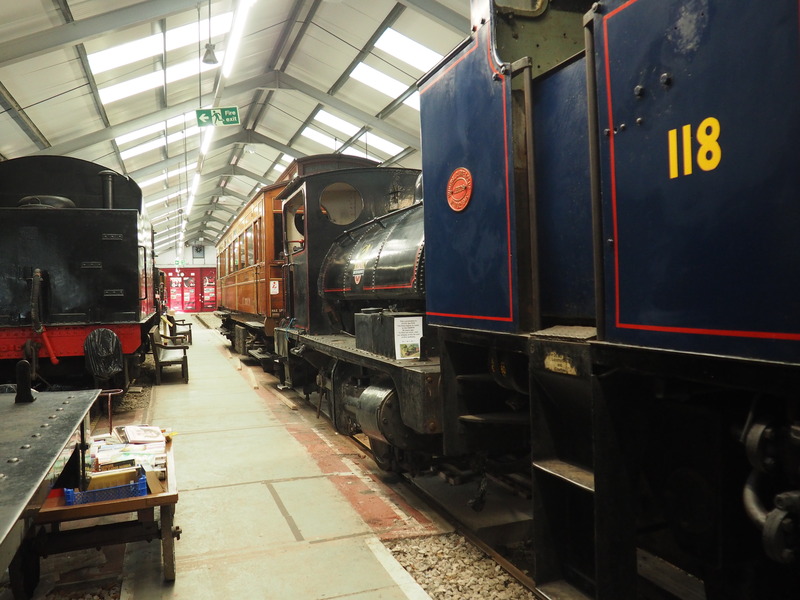 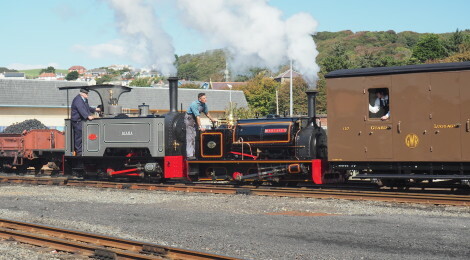 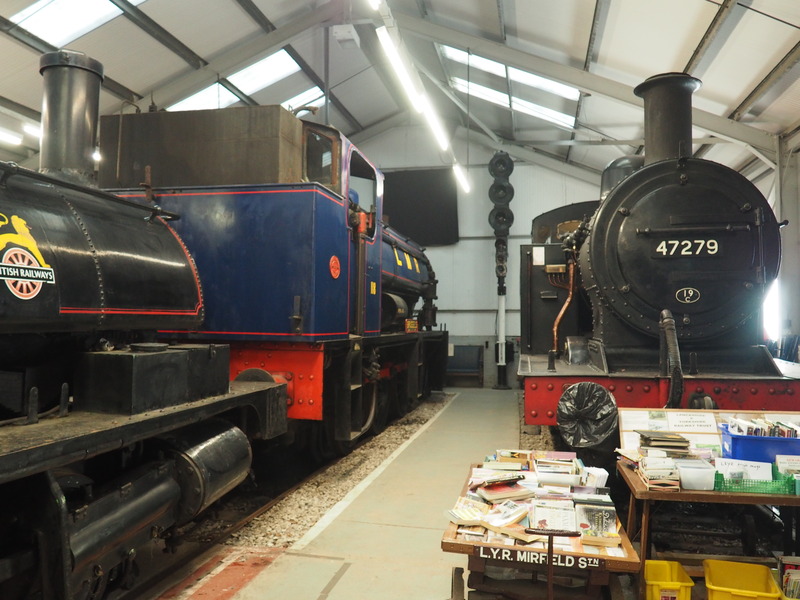 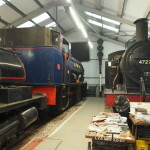 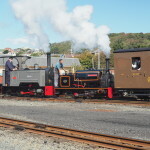 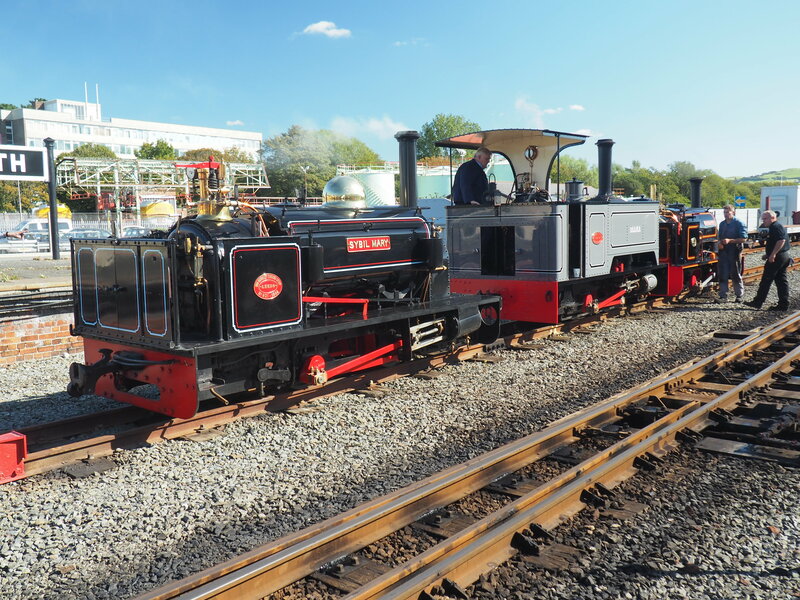 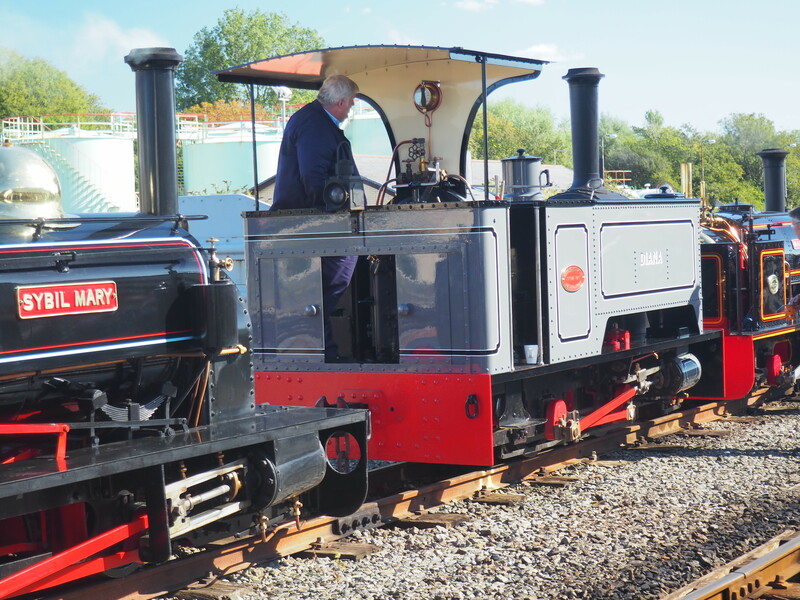 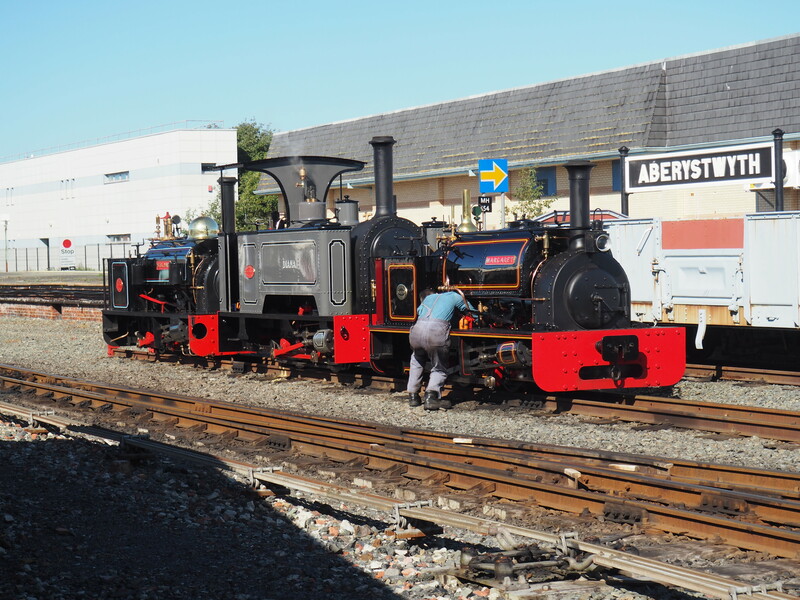 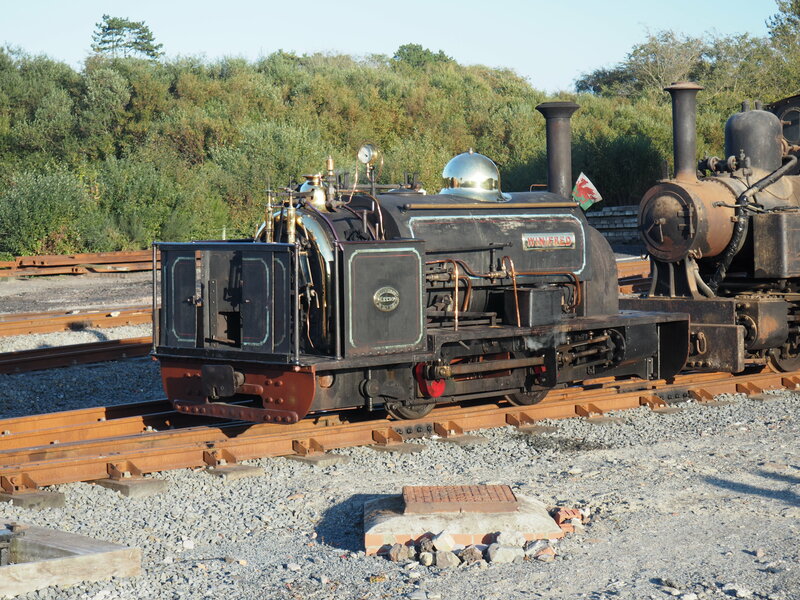 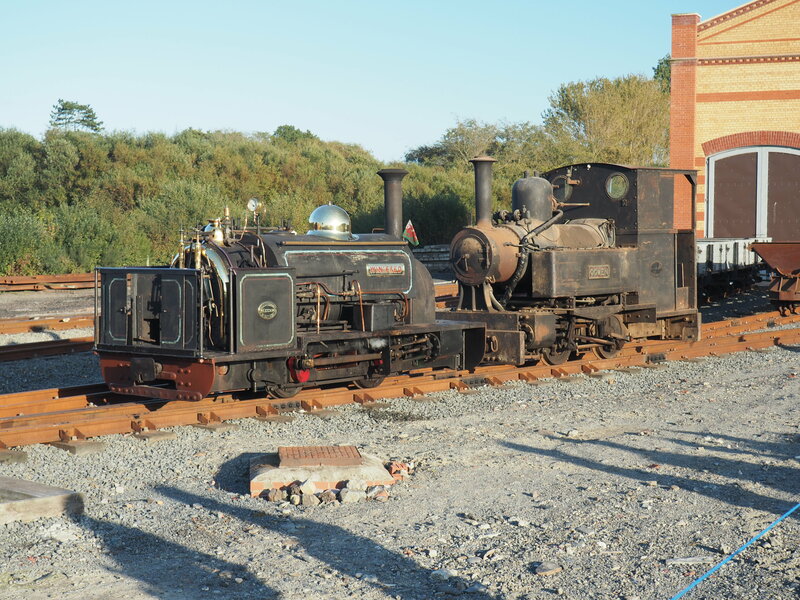 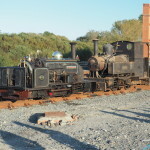 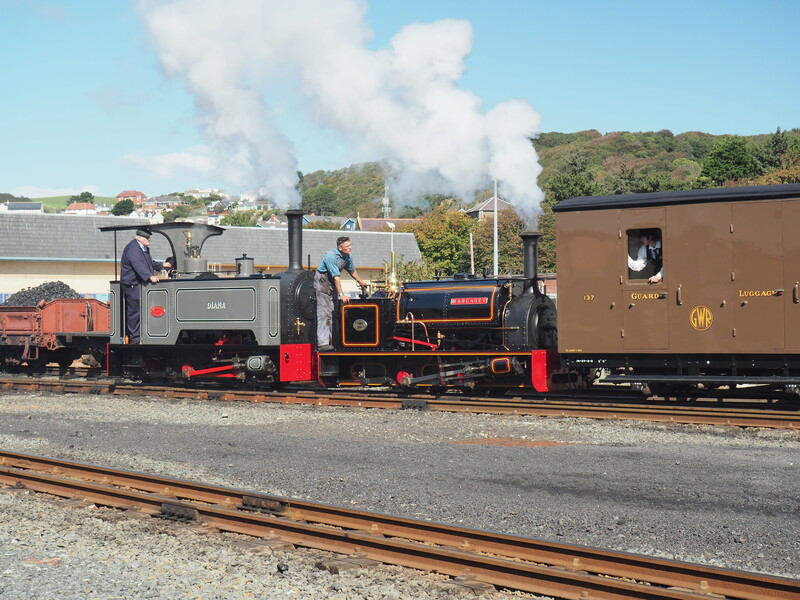 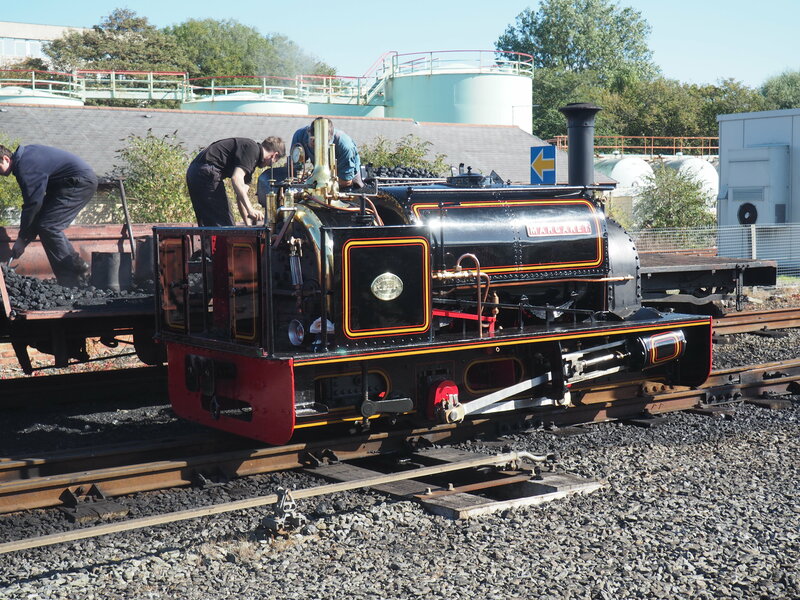 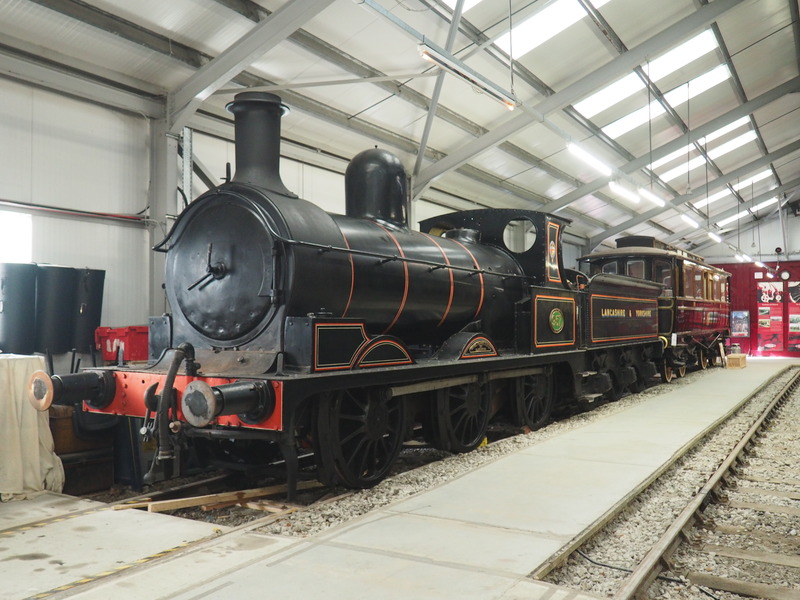 Below: Winifred and Ogwen reunited – Ogwen departed Beamish for Penrhyn a few weeks ago and called in at Aberystwyth en route (with sister Avonside Marchlyn) to Statfold Barn, pending its restoration elsewhere. 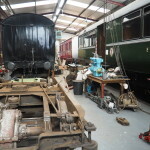 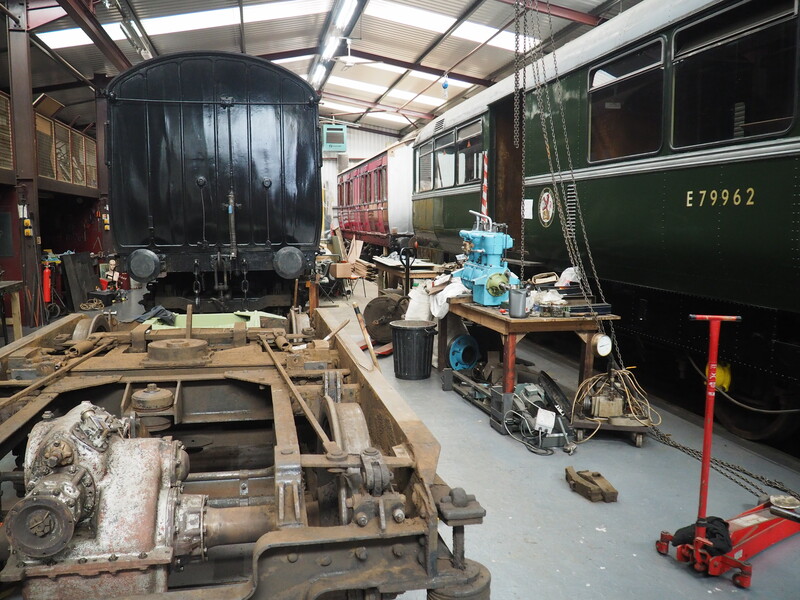 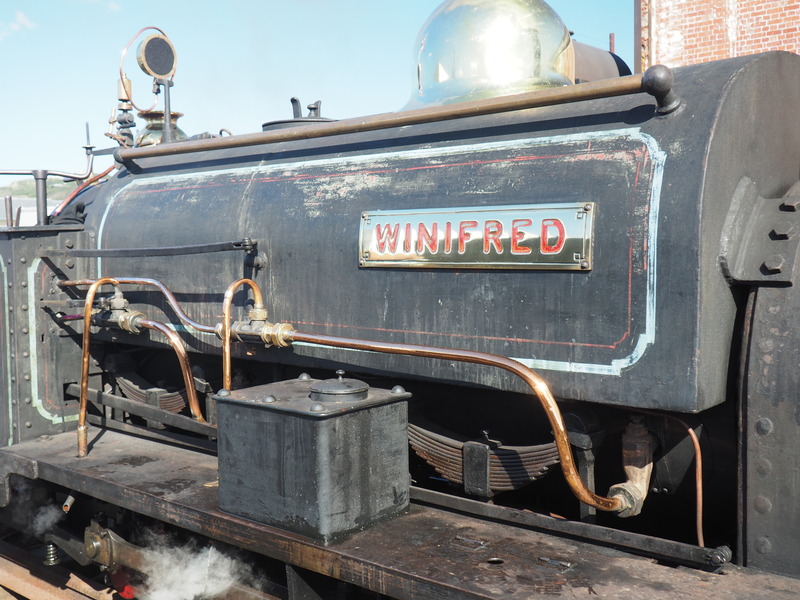 Winifred was one of the ‘Indiana Three’ repatriated in 2012, the third being Glyder, which is in our workshop pending dismantling for overhaul. 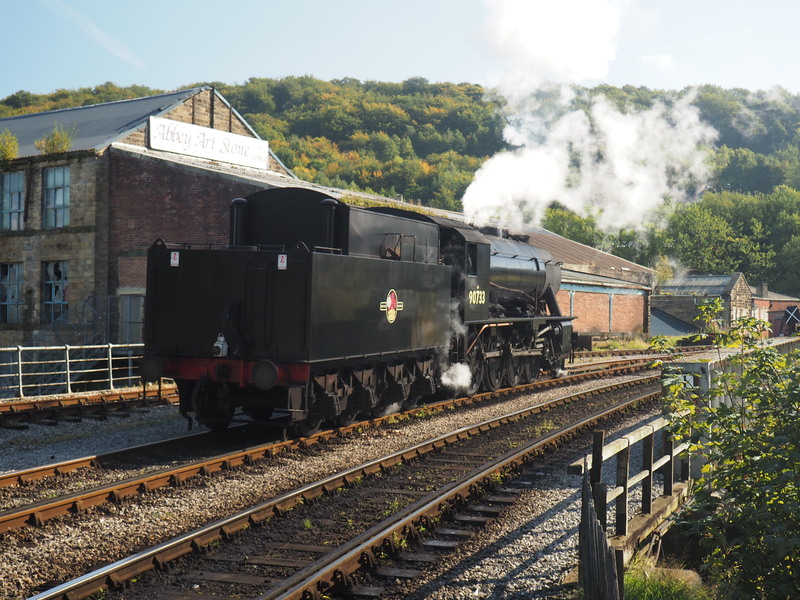 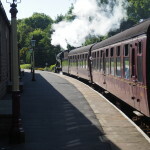 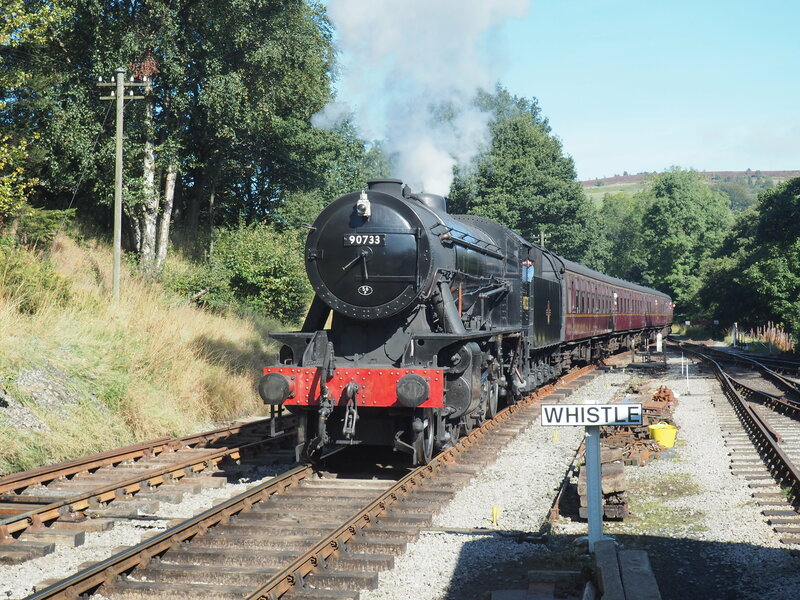 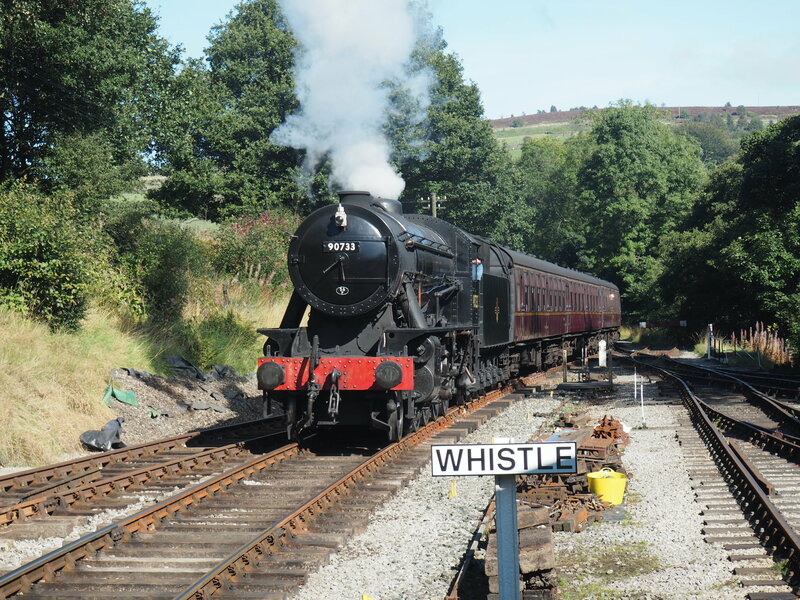 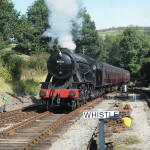 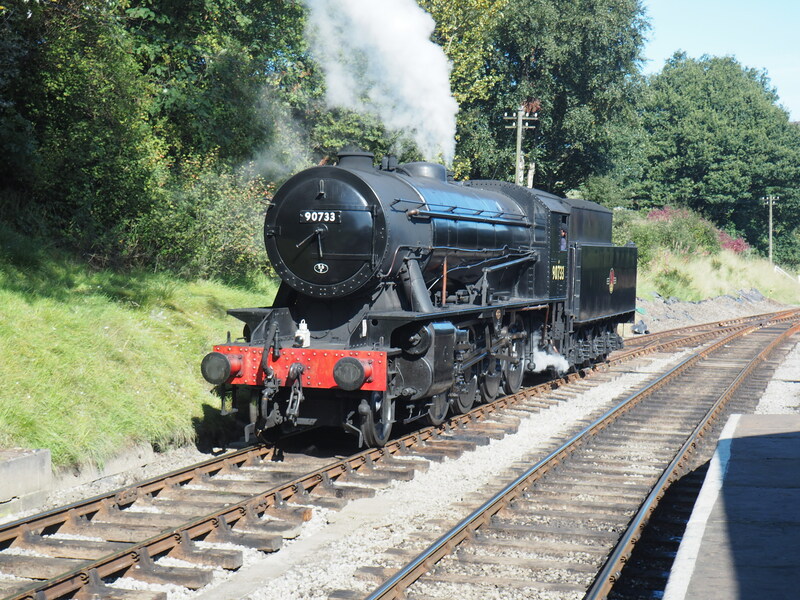 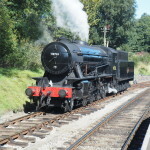 Below: 90773, a WD type 2-8-0, thunders into Oxenhope station, the upper terminus of the five mile line – the full length of which has been preserved since formal reopening in 1968. 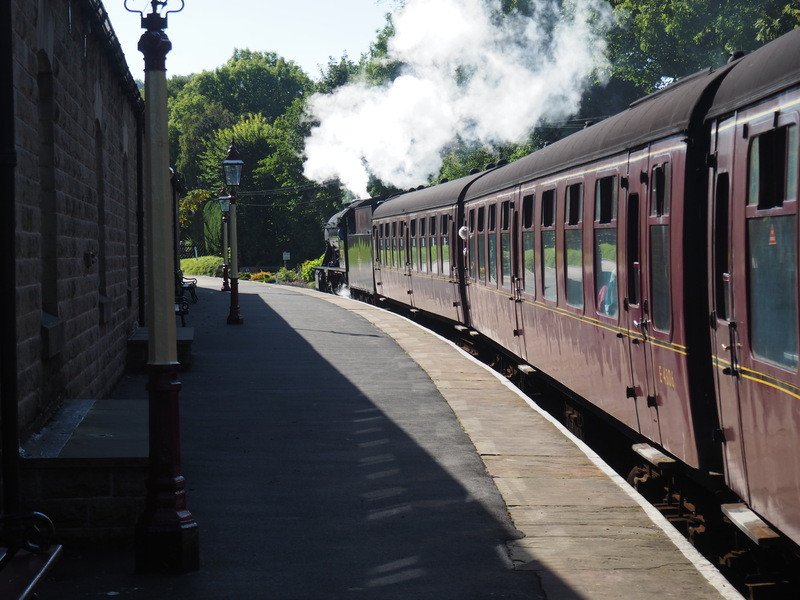 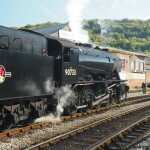 The railway is a 1950s midland branchline time capsule, and spirited running between stations (the other train was hauled by the line’s 4F) between stations with a frequent service certainly adds to the sense of a ‘real railway’ operating with purpose. 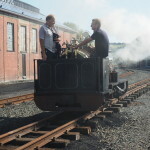 Below: Another gallery of images from the day for those interested! 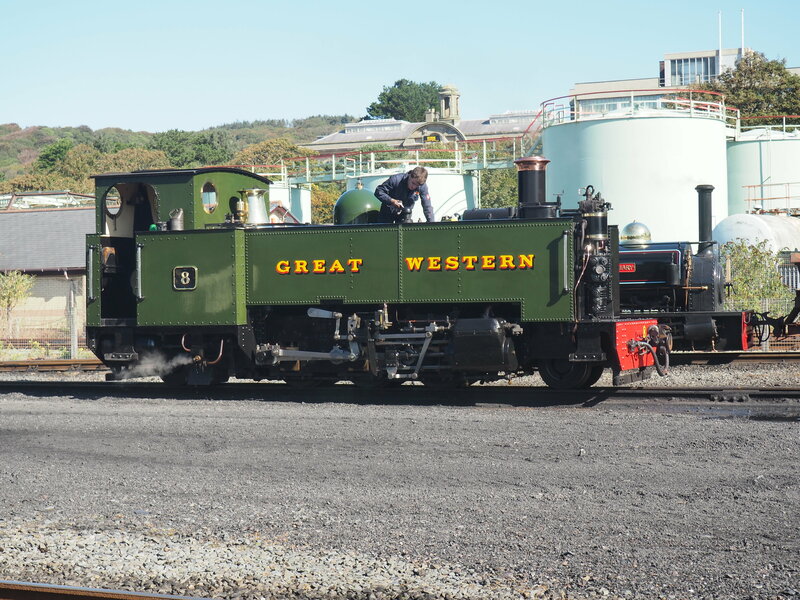 All of the photographs in thus post have been taken on the new T&I Olympus OM-D camera – I think the quality speaks for itself when compared to the I-phone or compact cameras – as convenient as these are and so will continue to feature on the blog. 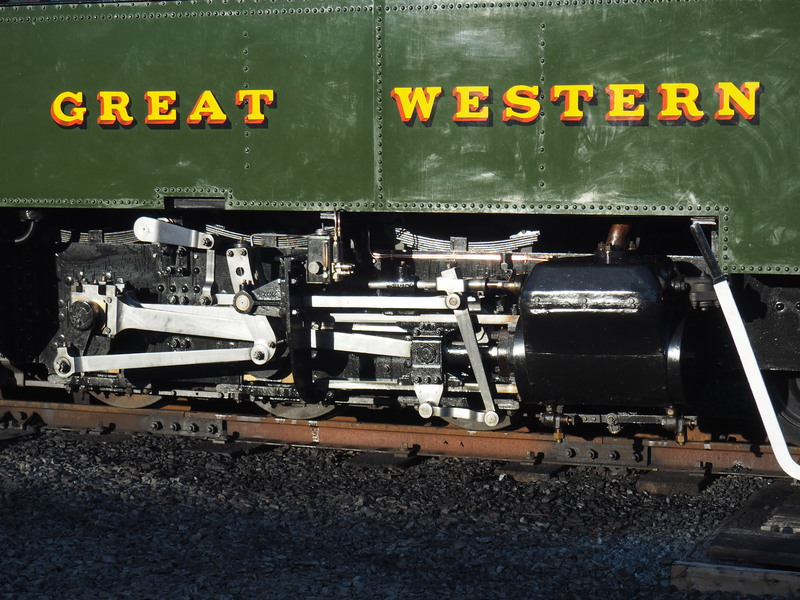 Its a novelty pressing a viewfinder to the eye once again!